Boo! 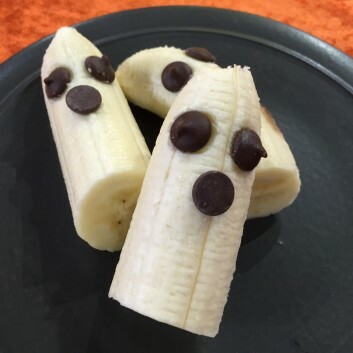 These Halloween “ghosts” may look scary, but they taste delicious. It’s a simple way to incorporate healthy fare into your festivities.